Shirts With Random Triangles: The Doctor Is Having A Blue Christmas In 2015 Doctor Who Christmas Special "The Husbands Of River Song." If you're a Whovian, you can also judge from the title that Christmas for The Doctor is about to get even more complicated, as his estranged time traveling wife, River Song (Alex Kingston) is involved. The fact that the word "Husbands" in the title is plural will make this the most awkward Christmas yet for the Time Lord. 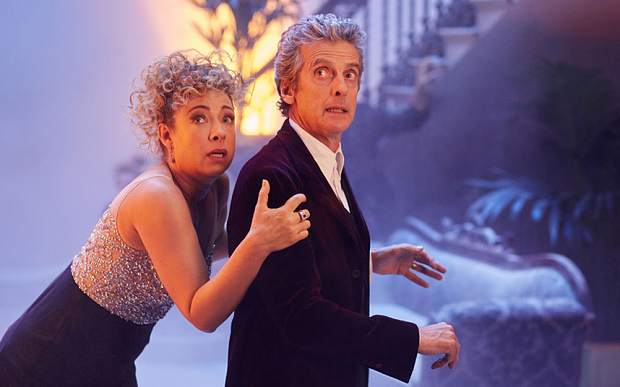 "The Husbands of River Song " is scheduled to air in the UK on December 25 at 5:15 PM GMT on BBC One. As for the US, it will air on BBC America at 9:00 PM, ET.